In a baffling decision that shocked animal advocates everywhere, a panel of three judges lifted the ban on trading rhino horn in South Africa, home to many of the highly endangered animals - and home to many poachers seeking to profit from their horn. The ban, lifted Thursday, had been in place since 2009. "The extent of smuggling or illegal export or rhino horns due to lack of implementation of the applicable measures is not known," Judge Francis Legodi said in his decision, "But what disastrous implications would be brought about by the immediate lifting of the moratorium? I cannot think of any. The solution appears to lie in the effective implementation of applicable and envisaged measures." The issue is complicated, and has a lot to do with money - the value of the rhino horn on the one hand, and the cost of protecting rhinos on the other. Rhino farmers, people who raise endangered rhinos like cattle, are behind the push to legalize the horn trade. 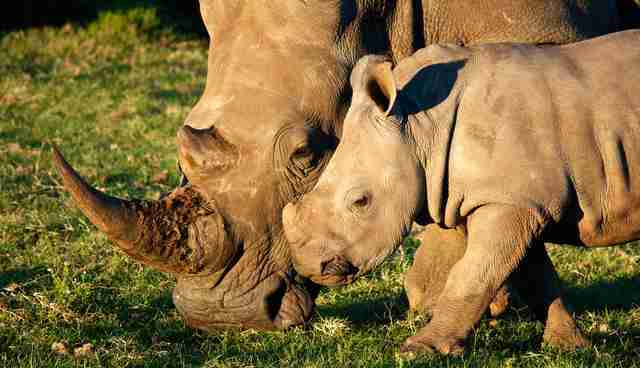 These breeders sell their rhinos to game reserves. The breeders can harvest the horn from living rhinos, or when a rhino dies of natural causes, but until now they couldn't trade the horns legally. Further, they say that the sheer cost of protecting their herds from rhino poachers is unsustainable. Breeder John Hume told The Citizen that "unless we get that money, we will have many dead rhinos." But animal advocates say that, in the long run, the move could prove disastrous for rhinos, whose numbers have already plummeted because demand for the horn is so high - and lifting the ban will do nothing to reverse it. WildAid, for example, "remains opposed to legalizing the trade in rhino horn because of the danger that this would stimulate runaway consumer demand for the product and drive an increase in poaching," according to a statement on its website. Save the Rhino International is also concerned about the effects of the ruling, according to its website: "[T]his step is being considered for financial rather than conservation reasons. 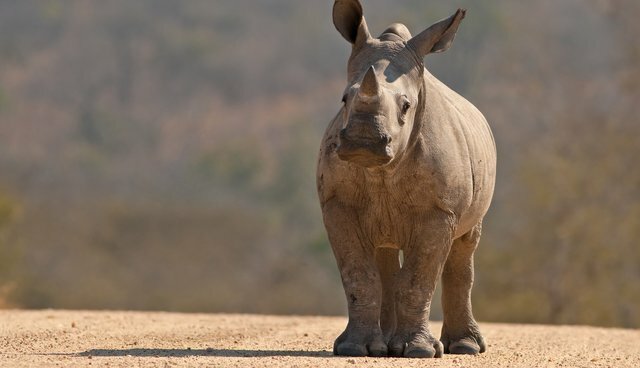 We can see that rhino owners - state and private alike - are hemorrhaging cash with the increased costs of security, but if ownership of rhino horn is widened to investors, rather than simply game farm, reserve or park managers, there will be even more stockpiles to regulate and monitor, something the South African authorities have struggled with as it is." As of 2010, South Africa was home to approximately 93 percent of the world's white rhino population and 40 percent of the world's black rhino population. 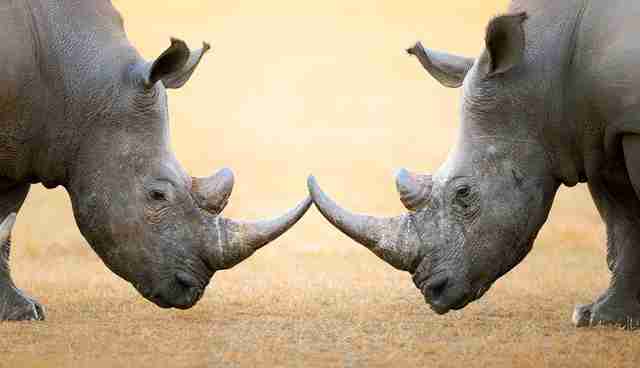 In recent years, poaching for rhino horn has soared. In 2014, for example, a rhino was killed every 8 hours on average, and this year could prove to be the worst year for rhinos ever. It's likely that the only surefire way toward a future for rhinos would be to stop demand for the horn that has already resulted in the slaughter of thousands of endangered animals.